Large sized animal builds are not a very common type of MOC. 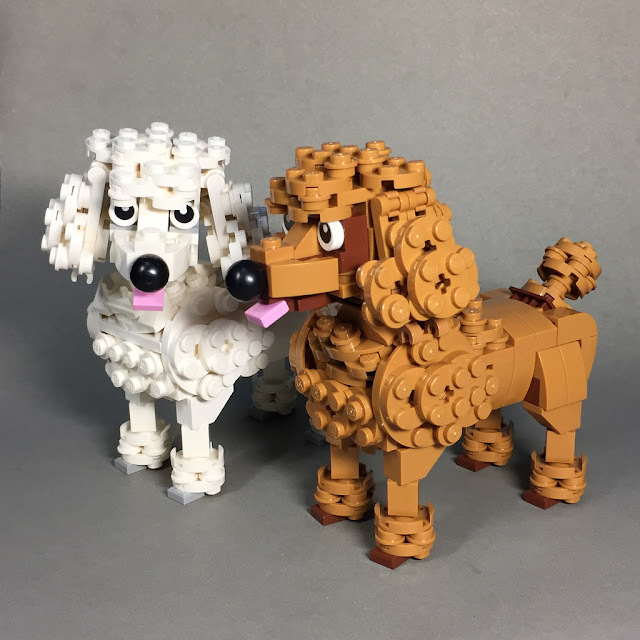 Flickr user and LEGO MOC'er ZiO Chao shared these great Poodle model pieces in his photostream. The shaping of the dogs using round plates of various sizes are incredible as well as the color choise for the dog on the right. I especially like the modelling of the facial expression of the models. The pink tile piece tongues makes the models even more realistic and cute.